The publication of Luciano Floridi’s magisterial work on the philosophy of information should, I think, be counted as a major contribution to the study of the foundations of the information sciences. This post is a modified version of a review written for journal publication. “I wouldn’t have minded if he’d called it A philosophy of information”, said my Distinguished Colleague, “but I do object to The bloody philosophy”. 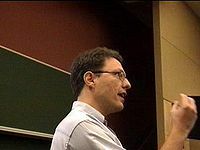 Luciano Floridi has created considerable interest, and a little controversy, in the library/information community, since he began publishing on the topic a decade or so ago. 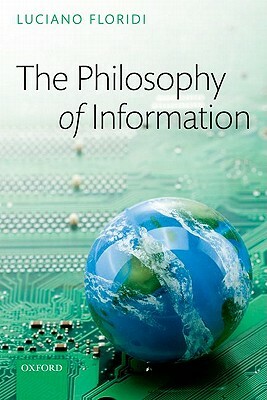 Now, in this latest book – The Philosophy of Information, Oxford University Press, 2011 – he presents what he tells us is the results of that ten years of work, in what the publisher’s blurb announces a “a book that will set the agenda for the philosophy of information”. Let us be clear. This is a detailed and serious book of academic philosophy. Although the audience is nowhere explicitly stated, it seems clear that Floridi, a professor of philosophy at Hertfordshire and Fellow of St Cross College, Oxford, is writing for his fellow philosophers, and pulling no punches. He warns us in the preface he is “painfully aware that this is not an easy book to read, to put it mildly”, and will require patience and time. He politely refers anyone who wishes to “warm up” before embarking on this arduous task to his “much easier and shorter introduction” – Information: a very short introduction, Oxford University Press, 2010. He pleads that he has made the book as reader-friendly as possible, not least by providing summaries and conclusions for each chapter, and by reminding us at the start of each chapter of what has gone before; a feature which he, endearingly, tells us he took from Battlestar Galactica. So far, so bad, at least for the casual library/information reader. Even with some background in philosophical analysis and in formal logic, this is tough going. But, in the book’s favour, even for our casual enquirer, we can say some positive things. It is very well written, and clearly presented, as befits an OUP publication. And the author takes the trouble to give frequent summaries and recapitulations, and to draw attention to significant points, so that even the non-philosophical reader can follow the general themes. For those who need a quick overview, a kind of synopsis of the synopsis, Floridi provides one: “The essential message of the book is quite simple. Semantic information is well-formed, meaningful and truthful data. Knowledge is relevant semantic information properly accounted for: humans are the only known semantic engines and conscious inforgs (informational organisms) in the universe who can develop a growing knowledge of reality; and reality is the totality of information (note the crucial absence of ‘semantic’)”. Aha, you will say: the old data-information-knowledge-wisdom hierarchy. Well, yes, in a way; except developed with a precision of analysis quite removed from the vague conceptual presentation of the DIWK hierarchy. The first three chapters of the book are devoted to a ‘metatheoretical’ justification for the philosophy of information as a branch of philosophy, and this in itself spells out one feature of the book. We are not being given a philosophical justification for, or analysis of, what we might regard as the sciences of information; rather information is being placed as a crucial concept for philosophy itself. This may give us a warm glow of pleasure, but does not make for easy reading. When Floridi writes that information deserves a thorough philosophical investigation, with the implication that it has not had one before, this may annoy some readers, of the same turn of mind as my Distinguished Colleague. They may wonder whether such an investigation has not been offered before, by authors such as Fred Dretske, who is cited here, and Jesse Shera, who is not. But I think Floridi’s implicit claim is valid; many authors have written by philosophy and information before, but no-one has set out to deal with it in such a thorough way. The bulk of the book is given over to a detailed analysis of the concept of information, and its relation to data, and to knowledge. Floridi acknowledges that information is an elusive concept, that answering the question of what it is constitutes the hardest and most central problem of its philosophy, and that the whole book may be read as a long answer to this question. He suggests that information may be understood from three perspectives: as reality (patterns in the physical world); about reality (semantic and meaningful); and for reality (genetic information, algorithms and recipes). 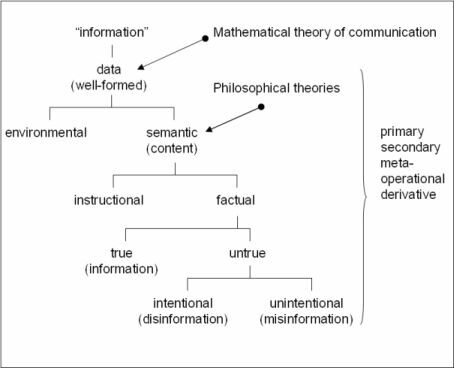 He presents seven approaches to defining information – information theoretic, algorithmic etc. ), discusses them in detail, and settles for the semantic approach, mentioned above,, which “defines information in terms of data space: information is well-formed, meaningful and truthful data”. This is developed in chapter 4, one of the central chapters of the book. We begin which data, which is acknowledged to be not well-understood philosophically either, though it is easier to deal with than the more slippery idea of information. Data is understood here as simply a lack of uniformity; a noticeable difference or distinction in something. To count as information, a collection of data must be well-formed (put together correctly according to relevant syntax), meaningful (complying with relevant semantics), and truthful. This last point is analysed at some length, with detailed analysis of the nature of true information, as distinct from mis-information, pseudo-information and false information. This is then developed, via lengthy formal analysis, the details of which which will be beyond those without a strong philosophical background, into the idea of knowledge. The view here is that “knowledge and information are part of the same conceptual family”, which may irritate some knowledge managers and social epistemologists, but seems to me to be a positive feature, considering this approach as a foundation for the information sciences. The crucial point is that information is ‘converted’ to knowledge by being inter-related, which is formally analysed here through network theory in chapter 12, another central chapter of the book’s arguments. Informally, “what [knowledge] enjoys and [information] lacks … is the web of mutual relations that allow one part of it to account for another. Shatter that, and you are left with a pile of truths or a random list of bits of information that cannot help to make sense of the reality that they seek to address”. Furthermore, information which is meaningful must also be relevant in order to qualify as knowledge, and this aspect also is formally modelled, as is the distinction between ‘knowing’, ‘believing’ and ‘being informed’. There follows a discussion of the idea of the inforg, a conscious informational organism such as a human being, and you will be pleased to know that Floridi is able to prove that we are neither zombies, nor artificial agents. Which leads us to the final, and in many ways most ambitious, chapters which address the rather big, and very philosophical, issue of the nature of reality itself. Floridi argues for an ‘informational ontology’, with information as the fundamental stuff of the physical universe. However, he takes issues with those proponents of ‘information phsics’, such as Seth Lloyd, who see the universe as a kind of digital computer, arguing instead for ‘information structural realism’. Again, the arguments are detailed and technical, but, as I understand them, they propose a real and objective physical world, whose constituent structures can be known, and understood in terms of information. This is clearly a very important book, and I think it justifies the author’s claim that it describes the first philosophical analysis of information in all its aspects. It is copiously referenced, showing familiarity with a very wide range of literature. Floridi is sometimes accused, by people like my Distinguished Colleague, of ignoring the contributions of library and information science, which might be expected to have something to say about information. This is incorrect and unfair: Floridi has written for library/information journals, spoken as library/information conferences, and emphasised a natural relation between his ideas and the concerns of library/information science. And in this book he does acknowledge the library/information literature, citing inter alia Buckland, Braman and Warner on the nature of information, and Borland, Choo, Mizzaro, Saracevic and van Rijsbergen on relevance. If he does not deal much in this book with library/information issues, that is perhaps because these are not the main concern of the book; this is by a philosopher for philosophers. I agree with Jonathan Furner, who writes in his 2010 ARIST article, that it is highly desirable that Floridi’s ideas be explored and applied within the library/information area. Despite the author’s efforts to make the book reader-friendly, and his success in bringing out the main points from the mass of technical detail – which I certainly appreciated in writing this review – this is not a book for the average library/information specialist. As the author points out in the preface, it is not intended as an introduction to the subject for the general reader. For anyone in our field with a strong interest in the basics of our subject, if they have some philosophical background, it will repay serious and repeated study. Impressive and insightful synthesis, thank you.